John’s New Book is out and available to buy. It is a story of transformation and growth — a journey from dogmatism and fear to freedom and love. 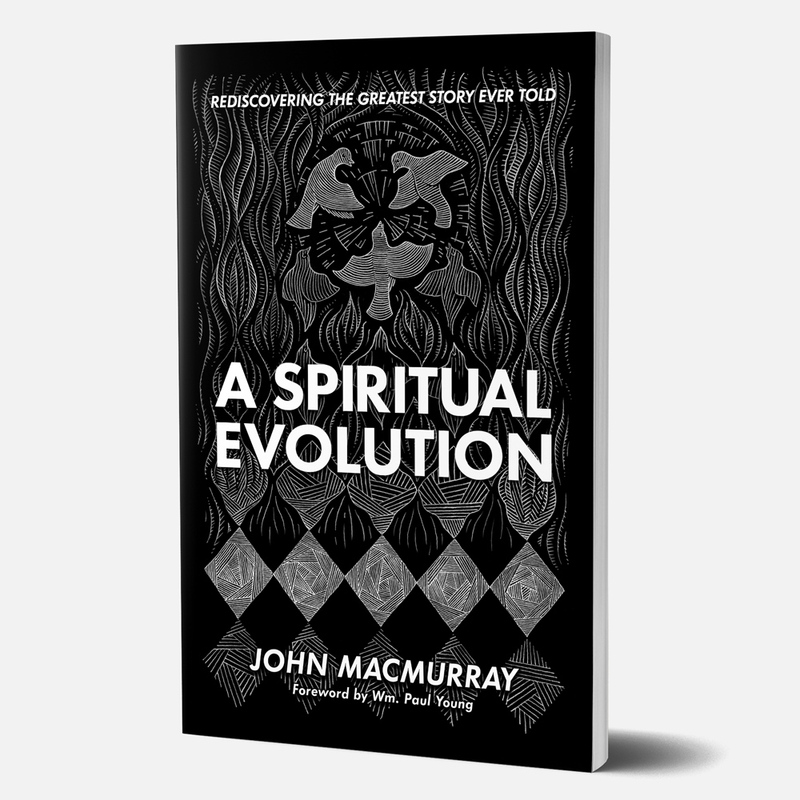 With self-effacing humor and refreshing candor, John MacMurray examines the story of God he inherited from his “religious” family. What he uncovers are familiar and all too common distortions that shaped his view of God and crippled his spirit. Then, like a seasoned teacher, John probes our beliefs with a stream of relentless questions that had haunted him for years. Religious fears are exposed and assumptions topple like dominos promising a renewed sense of hope, joy, and freedom. Best selling author William Paul Young talks with John MacMurray about his new book, A Spiritual Evolution. Radical Relationship - The Gospel of John is a class John teaches once a year in Portland, Oregon. It has been going on now for about 10 years. It’s around 8 weeks long, and he goes through the intricacies of explaining John’s Gospel, and the radical impact it has on our faith. The last few years were recorded and put into a podcast. John speaks at the Open Table Conference in Portland, Oregon. He gives a bit of his spiritual history, and then begins to share some thoughts on the Incarnation. At Open Table Conference 2018, John spoke on the Incarnation. Here is a video of that lecture. John speaks in Richmond, VA at the REthink GoD Conference (held June 17-19, 2016). --- What if God were more loving, more generous, more caring, more king, more forgiving, and more accepting than we’ve ever dared to dream? We invite you to come hear our special guests as they challenge us to “rethink God”. Philadelphia raised. Living in Portland, Oregon. Husband, Father, Teacher, Landscape Nature Photographer, Writer, Business Owner, and the Founder / Director of Northwest School of Theology and The Open Table Conferences. John wears a lot of hats.